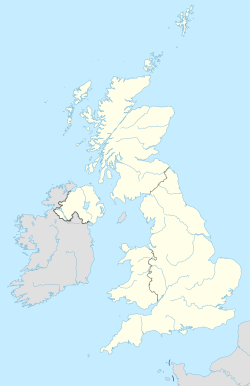 The G postcode area, also known as the Glasgow postcode area, is a group of postcode districts around Alexandria, Clydebank, Dumbarton, Glasgow and Helensburgh in Scotland. From 1923 until the introduction of the national postcode system in the late 1960s, Glasgow was divided into (mostly) numbered postal districts for its central and surrounding parts identified by compass-point letters: C1–C5 (corresponding to current postcode districts G1–G5), W1–W5 (G11–G15), NW (G20), N1–N3 (G21–G23), E1–E4 (G31–G34), SE (G40), S1–S6 (G41–G46) and SW1–SW3 (G51–G53). G postcode area map, showing postcode districts in red and post towns in grey text, with links to nearby FK, KA, ML and PA postcode areas. ^ "A list of Glasgow street names which were subject to change prior to the 1940s". "information derived form the 1937/38 Post Office Directory"
^ British Postal Museum & Archive. "Postcodes".